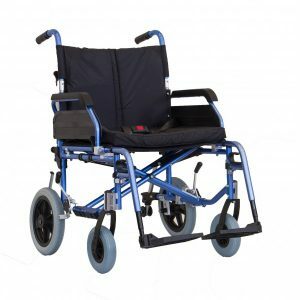 The X4 is a deluxe heavy duty wheelchair for occasional to full-time use for heavier users. This chair seat height can be adjusted. The backrest is tension adjustable with comfortable padded nylon cover to accommodate and support the users back and a 2” seat cushion. • Seat Height: Adjustable 47.5cm (19″) to 51cm (20″) set to 51cm as standard.